A church building, particularly an old one, is often treated as a heritage attraction, or an art object. Others see the building as nothing more than a functional container for worship and mission. While these may these may reflect aspects of a particular building, neither view is sufficient. We would argue that a church building is first and foremost a statement of community narrative, specifically the story of that particular community’s walk with God over the decades and centuries. Narrative is the way by which humanity comes to terms with change, and is the way in which we can explain how you are the same person you were 10 or 20 years ago despite all the change that you will have undergone in the meantime. 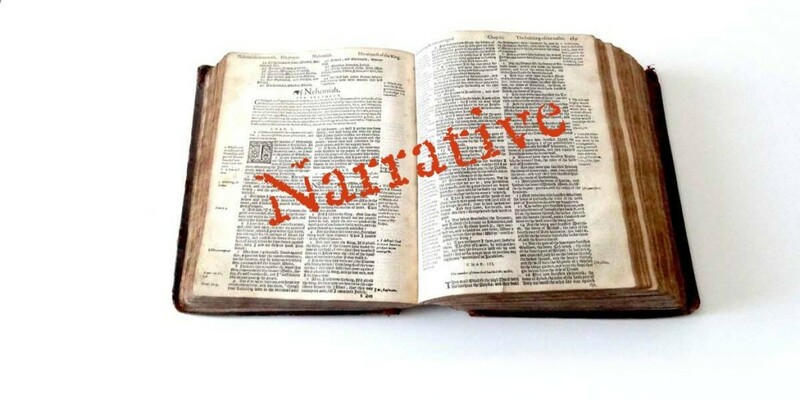 A narrative approach has a strong theological grounding, but at the most basic level, narrative works – everyone loves a good story! For this reason when we talk to churches about their building we often talk in terms of their story. And when we do so, it is amazing how much more engaged people become. This is a bit of fun, and is modelled on the sort of ‘Rate your Boyfriend’ type quiz you might see in a magazine. 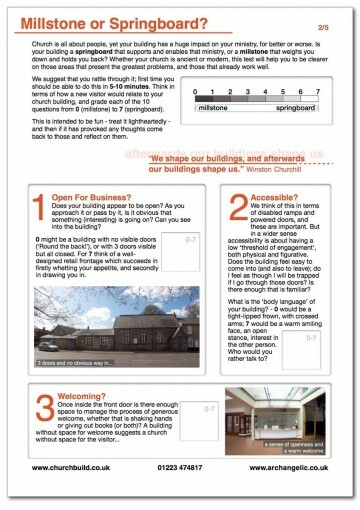 The quiz, which can be done in 5 or 10 minutes, asks you to rate your existing church building against 10 criteria. You can then plot your results as a spider diagram – it is best used with a group to prompt discussion and get people engaged with the state of your building. This is a set of three studies for personal or group use that looks more explicitly at your church’s narrative: its past history in that place, where it stands at present, and what its possible future might be. The wider community in a place often has a much longer memory than the church has – this means that it is really important to engage with what the church has done in that place over the generations – both good and bad. An understanding of that history will help explain where you stand now in the present, which could be at the centre of the community, where the church always was in medieval times, or at the edge, where many churches have, sadly, ‘migrated’. Only by understanding those two aspects of our communal narrative are we able to return the church to a more central role as the hub of the community.